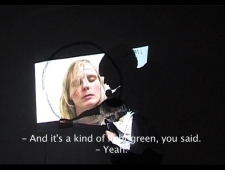 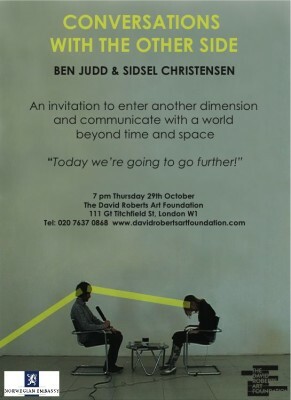 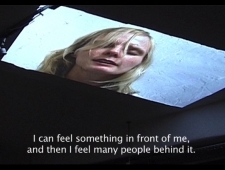 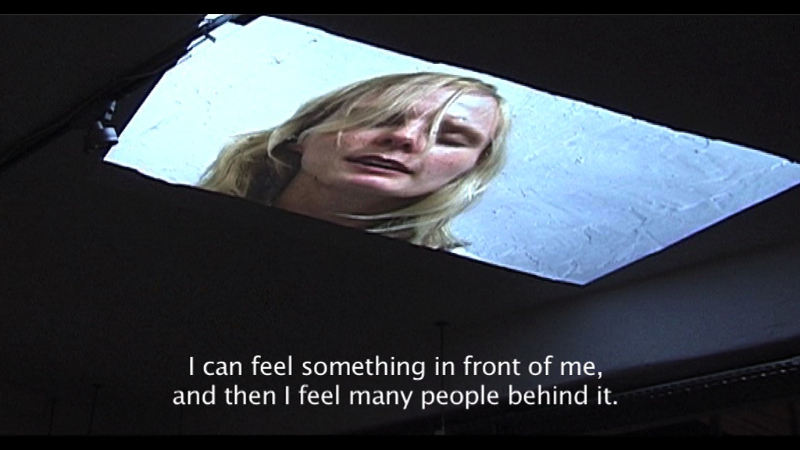 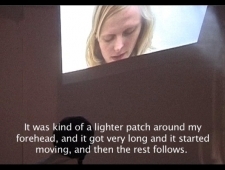 Conversations With the Other Side was a collaborative performance with Sidsel Christensen. From their study of traditional forms of mediumship, hypnosis and religious rituals, the artists developed a playful and open ritual, bridging the gap between the actual room where the ritual is performed and the space that exists in another dimension, as a method of contacting ‘the other side’. 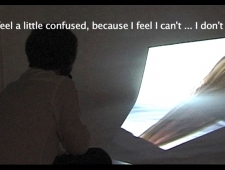 A wall and the gallery floor were covered with white paper, and the audience were invited to sit on the paper. 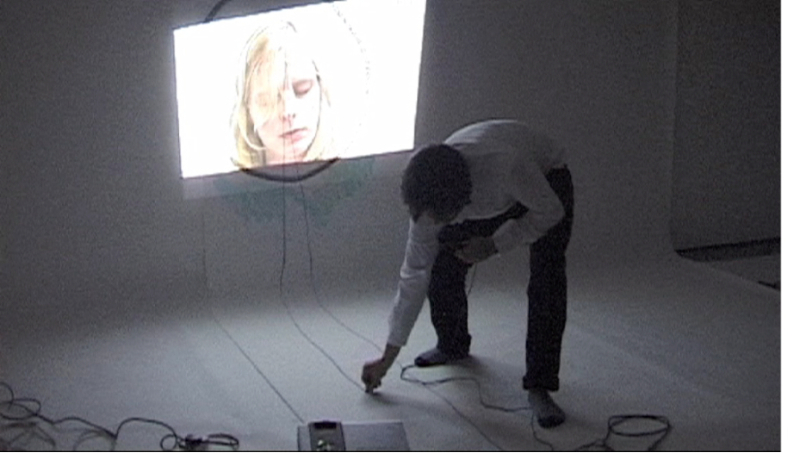 One of the artists put the other into a trance-like state in a separate room, and a live video of the artist was projected into the main gallery space. 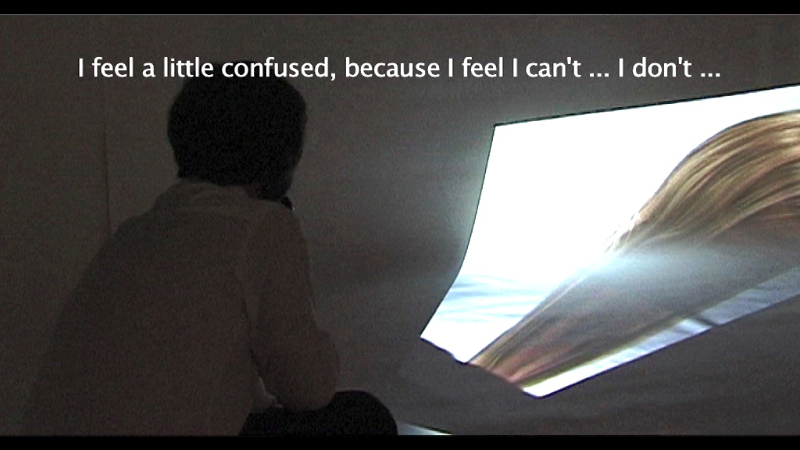 This attempt at describing the experiences of the person in the trance and the virtual space happened in a number of ways: a conversation took place between the two artists in which the artist in the gallery attempted to understand the experiences of the other; the artist in the gallery moved the projection around the room in response to descriptions of differing spatial experiences; the projected image becomes larger or smaller; he or she attempted to describe the experiences by drawing onto the paper around the projected image and into the audience. 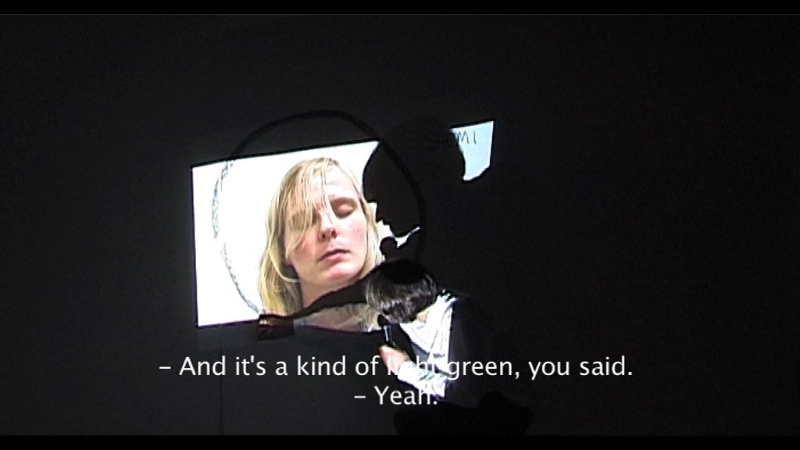 Conversations With the Other Side created a portal for the audience and gave them a chance to participate directly. 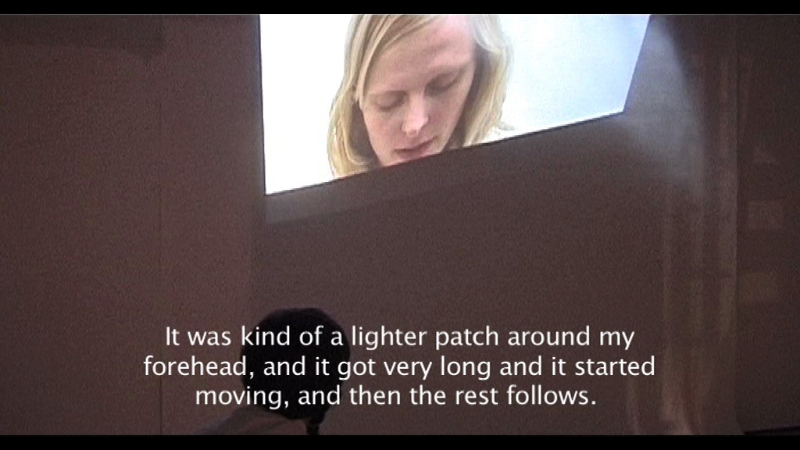 Mirroring spirit séances and occult salons at the turn of the nineteenth century, this event opened up to the possibility of the impossible or fantastical as well as maintaining an interest in the rational and critical faculties and how we use these in our engagement with the unknown.